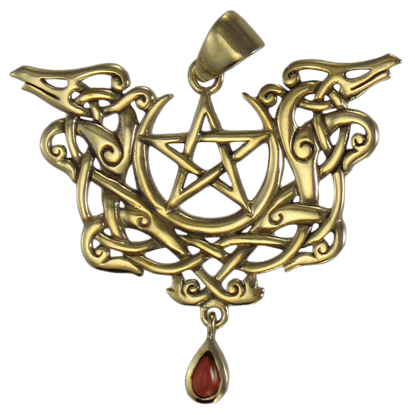 Modeled after a book of instructions for magical rituals, the 3D Book of Shadows Pendant is stunning. 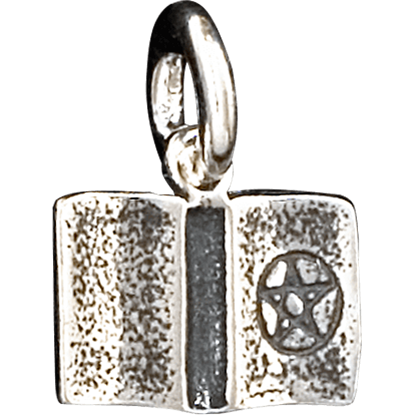 For those who are drawn to supernatural knowledge or have Wiccan beliefs, this item is the perfect accent. The moon has always had an enchanting effect on the earth and humanity. 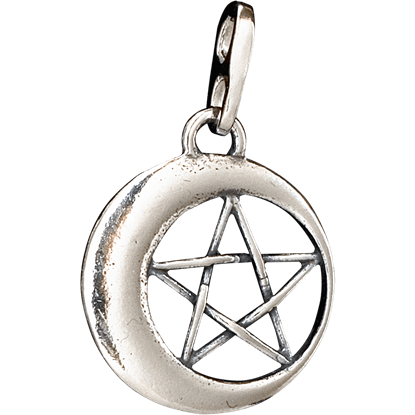 Now you can own this beautiful image with the 3D Crescent Moon Pentacle Pendant. 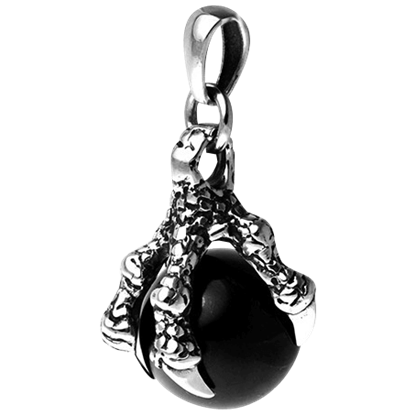 Use this stunning item to evoke your spirit or energy of choice. 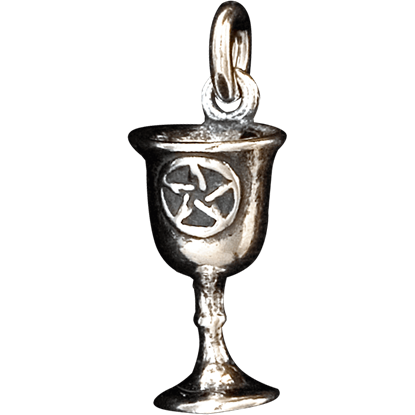 The 3D Pentacle Chalice Pendant is great for those who understand the meaning of the pentacle. Typically used to evoke a spirit or energy this item does a wonderful job of capturing the essence of this unique symbol. 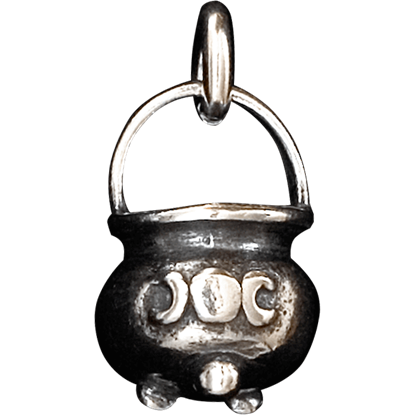 The 3D Triple Moon Cauldron Pendant elegantly captures the spirit of the goddess of fate and the moon. This item is ideal for those who are familiar with Neopaganism and want to show other wiccans where their beliefs stand. 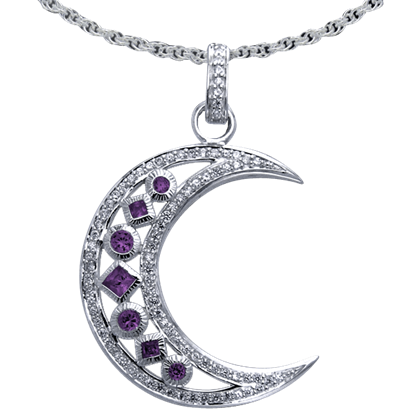 Crafted from sterling silver, the Amethyst Element Moon Pendant is a great way to show your affection or just look fabulous. This pendant is great for those who want to show off their love for the moon and its entrancing beauty. 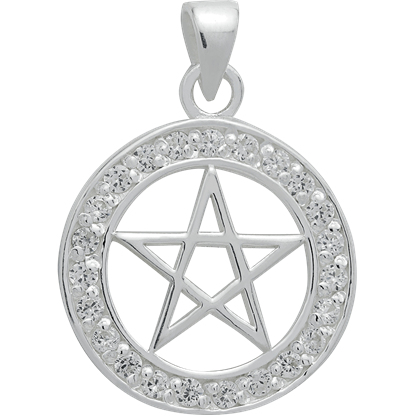 According to Wiccan culture, the pentagram provides protection when casting spells. Whether you are hexing or just want a little safety net in your everyday life, the Bejeweled Pentagram Pendant makes a great accessory to your outfit. Crafted from sterling silver, the Blue Topaz Element Moon Pendant is a great way to show your affection or just look fabulous. This pendant is great for those who want to show off their love for the moon and its entrancing beauty. 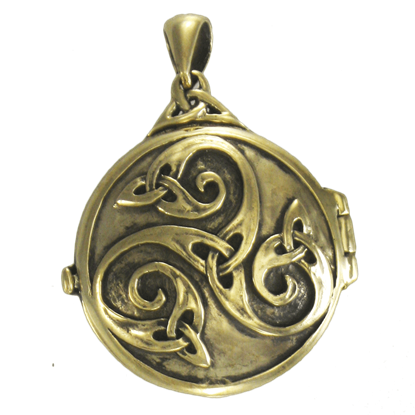 Usually, it is up to you to fill a locket with your own trinkets or memoirs, but in the case of this Bronze Celtic Swirl Locket with Hidden Pentacle, it comes with a surprise already held within, to accommodate your own unique style! Cernunnos, the Horned God, is a deity with many aspects and connotations. 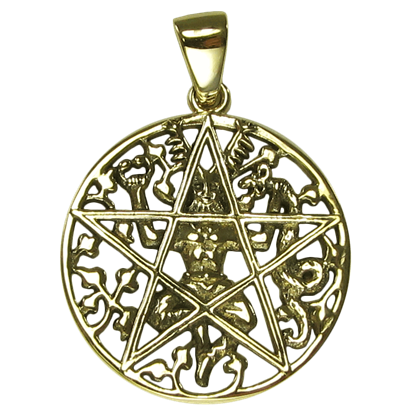 He is pagan, more specifically Celtic in origin, and in this Bronze Cernunnos Pentacle Pendant, his appearance echoes that of the historic Gundestrup Cauldron. In Norse myth, dragons are often guardians, either for good or ill. This Bronze Dragon Pentacle Pendant with Garnet Accent, with its Norse inspiration, is no different, featuring a duo of dragons that guard an ancient emblem. 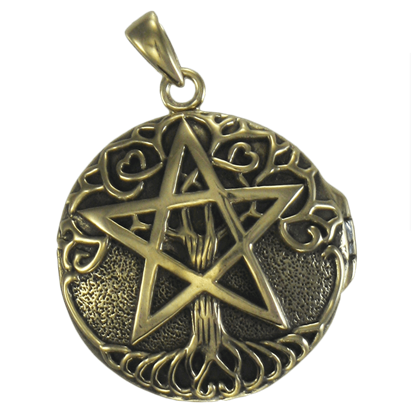 This pendant is distinctive and unique, featuring a double-faced design that serves well a wide variety of styles, which makes this Bronze Tree Pentagram Locket quite the versatile accent that will enhance your look considerably.